Frank Medrano appears in two early Entourage episodes, both within the series’ first season. 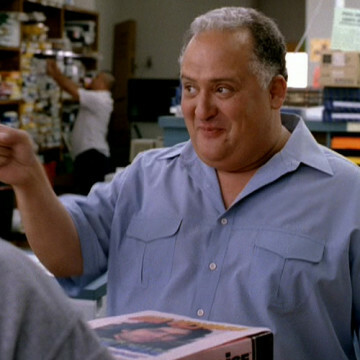 In the show’s second episode, he plays the off-camera part of the liquor store clerk who sells Vince and the guys the bottle of wine that they take to Jessica Alba’s party. In the S01E08, New York, Mr. Medrano returns for a slightly more prominent role as the owner of a print shop. It is during his scene in that episode that his character agrees to throw in one thousand extra event fliers in exchange for an autograph from Viking Quest Tarvold actor Johnny Drama.